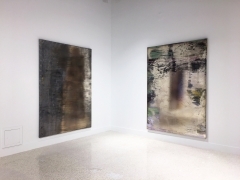 GAVLAK Palm Beach is proud to present a solo exhibition of new paintings by the New York based artist Nir Hod (b. 1970, Tel Aviv, Israel). 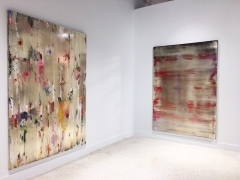 The Life We Left Behind is the artist’s first solo exhibition with the gallery and will take place at the new Gavlak Palm Beach location, The Royal Poinciana Plaza. Nir Hod’s paintings and sculptures address the paradox of beauty and horror, repulsion and attraction, and the declining state of American culture in late capitalism. From his Genius series, featuring spoiled, overly coiffed toddlers smoking cigarettes, to orchids engulfed in flames, such over-the-top decadence is rendered in the style of Gainsborough and the Golden Age Dutch still life painting. Working in techniques handed down hundreds of years from Old Masters, the beauty of these oil paints belie other, more sinister and disturbing truths. One of the more haunting themes that runs through Hod’s work comes from his Jewish identity. In Mother, a series of large oil paintings repeating the same image of a woman looking behind her with her hands up, we sense drama and understand from the style of her hair and clothing that the image is from another era. Taken from an iconic image by Nazi photographer Franz Konrad of soldiers clearing out the Warsaw Ghetto, showing the horrors of World War II, the focus of the photograph is on the woman’s child who also has his hands up in surrender. While the world focused on the little boy, Hod focused on the mother. With the approach of chiaroscuro, she’s rendered on a stark black background, the figure in a slight gradient of golden shades, appearing out of the darkness like one of Caravaggio's mythic subjects. Hod’s new series of paintings, The Life We Left Behind, continues to explore similar themes, referencing horrific world events and art historic styles, but now in non-representational painting. These abstract works are not only about process, but like Hod’s previous series, Mother, the beauty of the works conceal the darker side of human nature and the often sinister consequences. 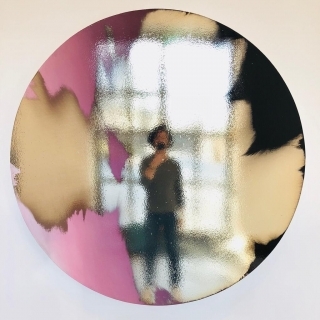 Inspired by the decaying yet striking patina of old frescos or a baroque mirror, the artist started to experiment with layering chrome over colorful and monochromatic oil paint. 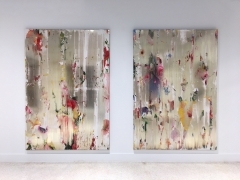 In the the two years it took to develop a process of control verses random, chance reactions between the chrome, solvents, and the various industrial tools used to remove the top layer of chrome and reveal the colorful underpainting, a Pollock-like action painting resulted. 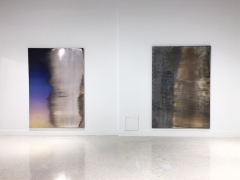 Hod’s “performative” approach to painting produced highly reflective surfaces, drawing the viewer in and allowing the viewer to see their reflection as if looking into a large mirror. A commentary on today’s highly self absorbed “selfie” culture, the paintings are also a reference to the cautionary tale about Dorian Grey. Oscar Wilde’s infamous hedonist was another inspiration for Hod’s exploration of creating highly reflective surfaces where the viewer can become a part of the composition. The sensuality, debauchery, and pursuit of beauty found in this Nineteenth Century novel are all themes that Nir Hod has explored in his work over the years. Nir Hod was born in born in Tel Aviv, Israel in 1970 and currently lives and works in New York. He earned his BFA at Bezalel Academy of Art and Design, Jerusalem and attended Cooper Union School of Art in New York City in 1991. 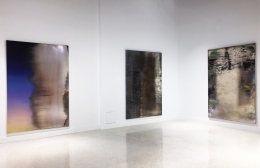 Hod has had several solo exhibitions in the United States and abroad with his first show in 1996 at Noga Gallery of Contemporary Art, Tel Aviv. He has had solo exhibitions at Tel Aviv Museum of Art, Tel Aviv, Israel; The Museum of Israeli Art, Ramat Gan, Israel; Jack Shainman Gallery in New York, NY; Paul Kasmin Gallery in New York, NY; and Michael Fuchs Gallery, Berlin, Germany, among others. His work has been in numerous group exhibitions nationally and internationally from New York to London, Berlin, Vienna, and Israel. These include the Tel Aviv Museum, Tel Aviv, Israel; Albright Knox Art Gallery, Buffalo, NY; The Jewish Historical Museum, Amsterdam, Netherlands; Martin-Gropius-Bau Museum, Berlin, Germany; Bard College, Annandale-on-Hudson, New York, NY; The Jewish Museum, New York, NY; The Vienna Jewish Museum, Vienna, Austria; The Israel Museum, Jerusalem, Israel; Yerba Buena Center for the Art, San Francisco, CA; Museum of Modern Art, Oostende, Belgium; The Flag Art Foundation, New York, NY; Marlborough Gallery, New York, NY; among others. The Life We Left Behind will be on view through December 22, 2018 at Gavlak Palm Beach (340 Royal Poinciana Way, Ste M307, Palm Beach, FL 33480). 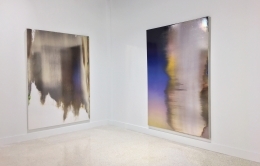 John J. McGurk at john@gavlakgallery.com, or 561-833-0583.